Far from the grand dragonborn empire of old, the land known as Arkhosia is still called that today. No longer building vast cities in the canyons of the interior, most dragonborn now dwell in low-lying vales, each controlled by a ruling warlord. Arkhosia was once a large dragonborn empire that was brought undone in its war with the tieflings and humans of Bael Turath. It is now a feudal society where individual warlords (shoguns) each rule over a vale (called shogunates). It is a land where personal honor means everything. Personal wealth and fulfillment mean nothing compared to serving your lord faithfully and fighting for your honor. 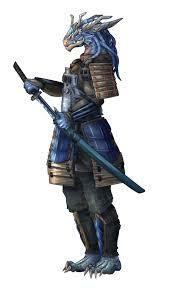 The dragonborn live in small feudal shogunates, mostly located along the coast in the north east. Some port cities have emerged as the power base for some of the shogunates whilst others are based inland and seek the treasures of Old Arkhosia in the ruins of the dry canyons of the badlands. Dragonborn are still the rulers of Arkhosia. Although their empire was destroyed in the war with Bael Turath, they still cling stoically to their honor-bound way of life. 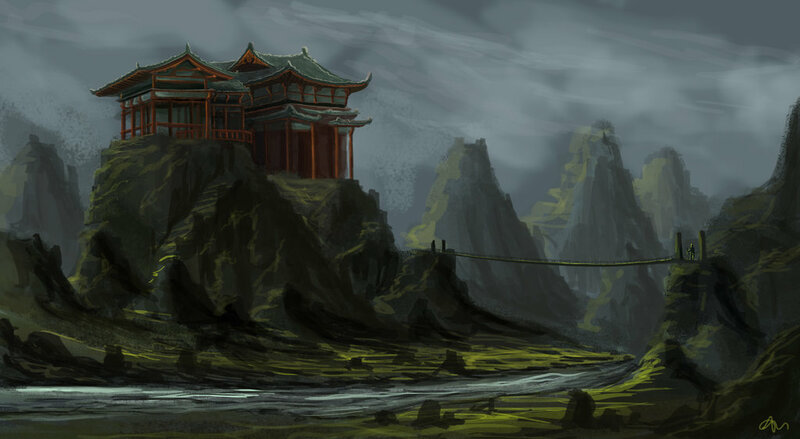 There is no central government in Arkhosia, with strong warlords establishing control over their own feudal shogunates. Although they still do not trust tieflings, there is no longer open hostility and trade has opened up between the two races. The dragonborn revere dragons as deities as well as the well-known pantheon of gods. Bahamut's defeat has been of great concern to the citizens of Arkhosia as they worshiped him and Tiamat as the two conflicting halves of the dragon creator deity Io. Humans of the same stock as those of the Gyrian City-States live amongst the dragonborn. Humans existed in these parts even during the Great War, but most are new inhabitants from Gyria intent on making money from the ample trade opportunities, or warriors seeking the secret fighting styles of the dragonborn. Tieflings have become a recent trading partner of the dragonborn, so all trade between Arkhosia and New Turath no longer has to pass through Gyrian merchants. Tieflings have been restricted to enclaves with several Arkhosian port cities where they mostly trade their magical wears. Gnolls roam in vast numbers throughout the interior and in the dry lands of western Arkhosia. They are enemies to all including rival gnoll tribes. In the northeast of Arkhosia dark-skinned elves have taken over old dragonborn ruins. No one is sure of the origin of the drow or what they want, but so far the dragonborn have let them be. Mojh are becoming increasingly common as humans perform rituals to be more like their dragonborn rulers. Halflings have forever been a continual link between the dragonborn settlements and they continue their mercantile life on the waterways of Arkhosia today. In fact, several canals have been built between communities to allow the halflings access and floating raft 'villages' are common in cities that have a riverfront.